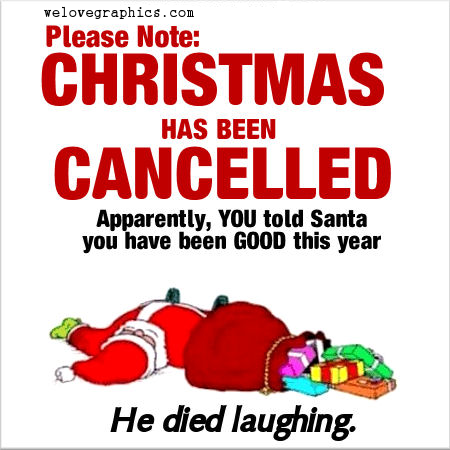 Please note: Christmas has been cancelled. Apparently, you told Santa you have been good this year. He died laughing.